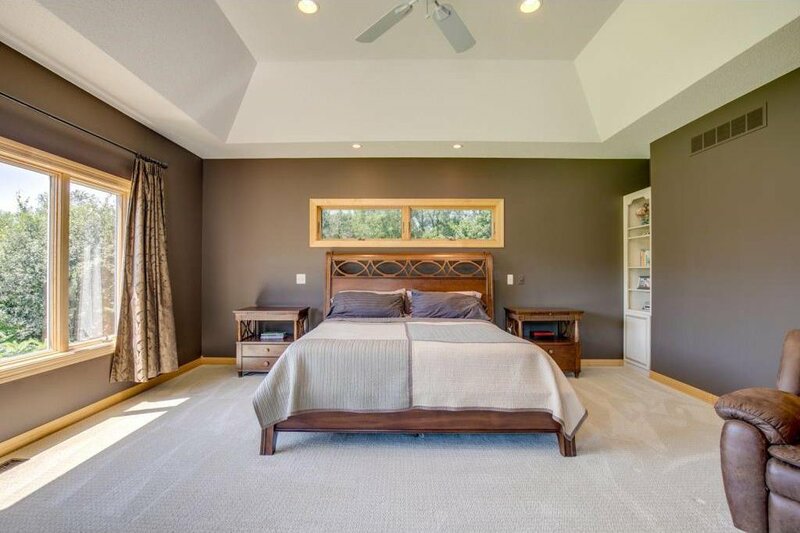 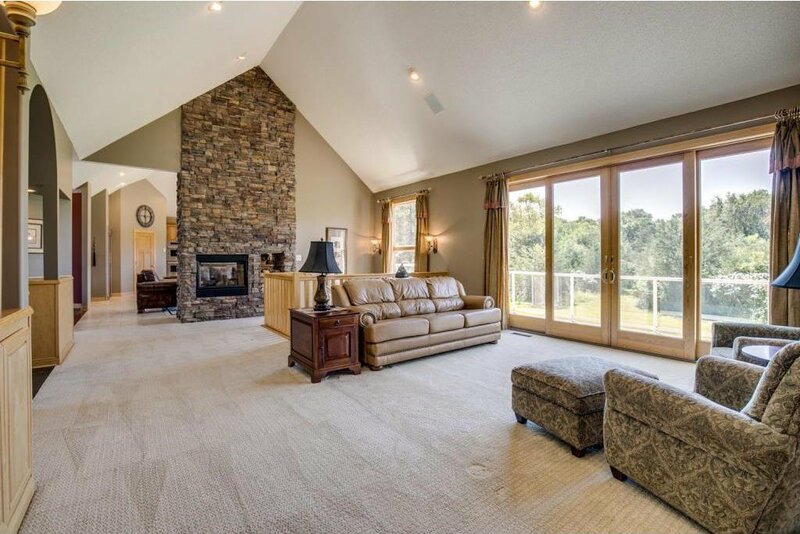 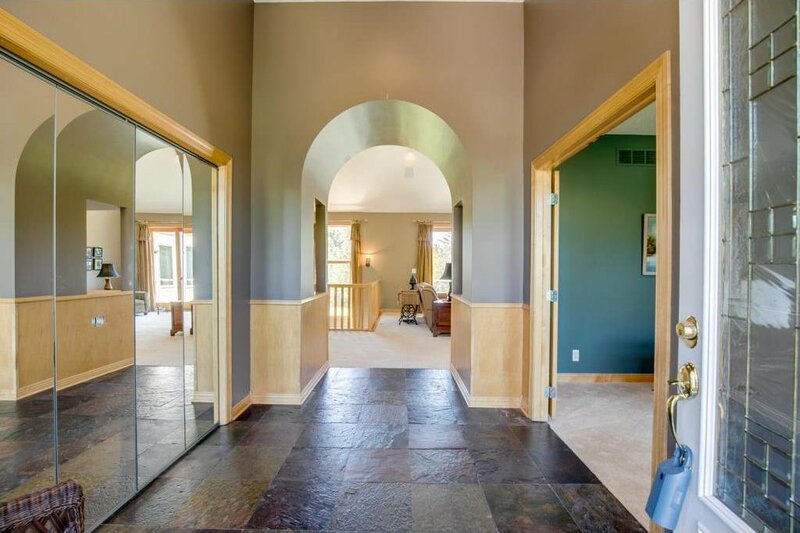 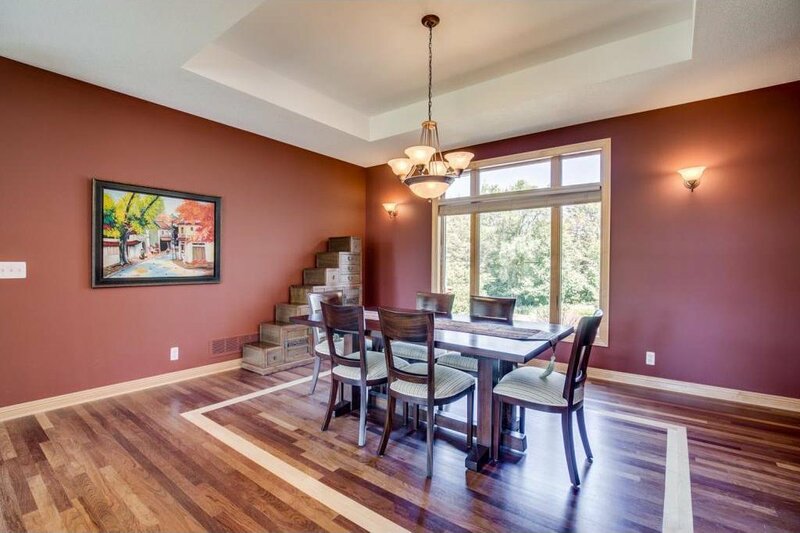 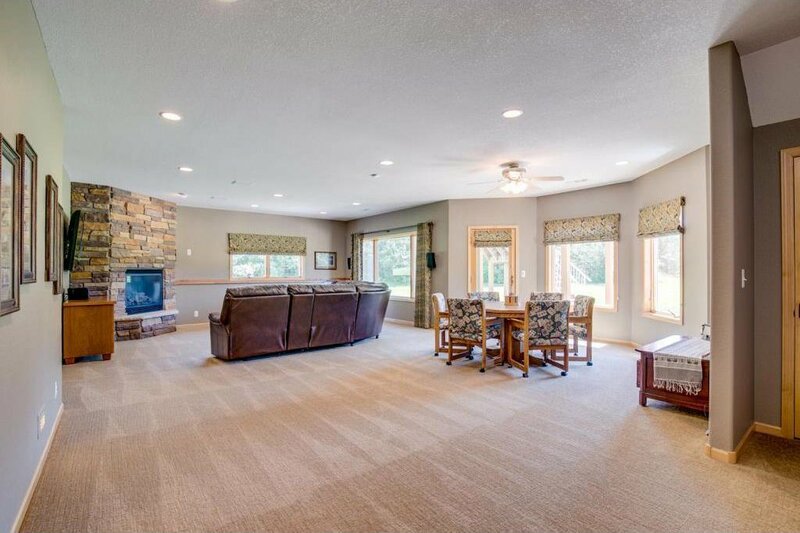 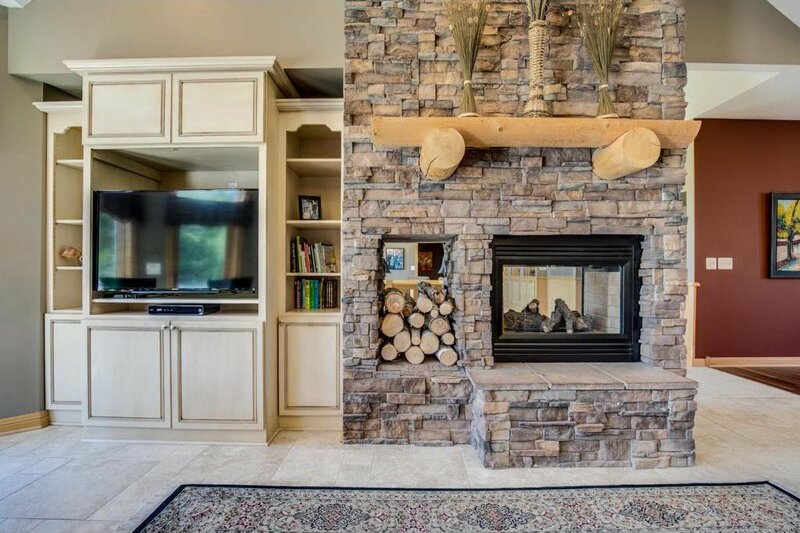 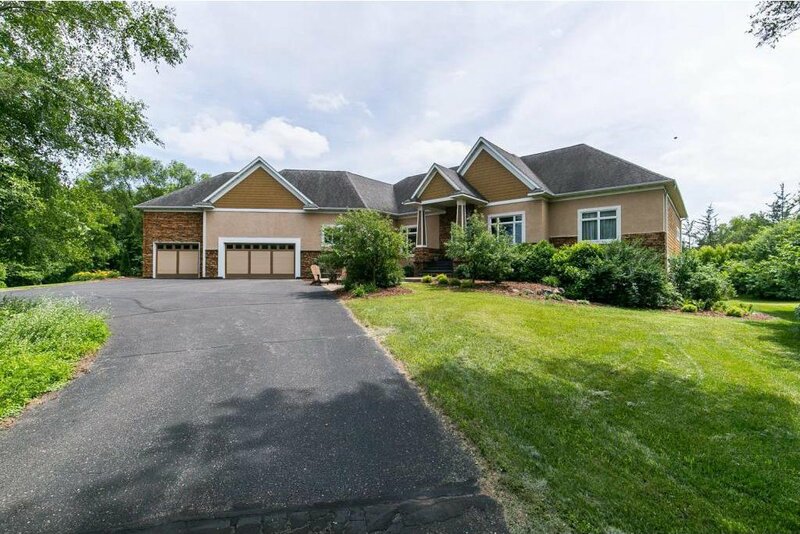 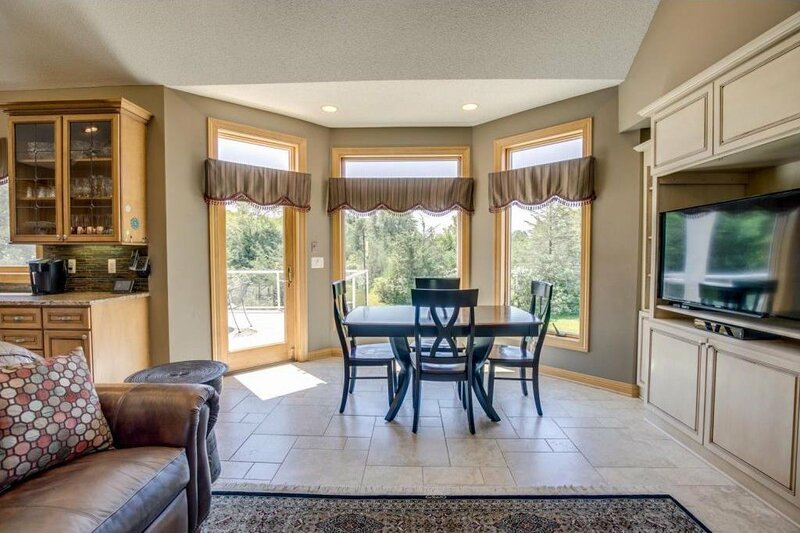 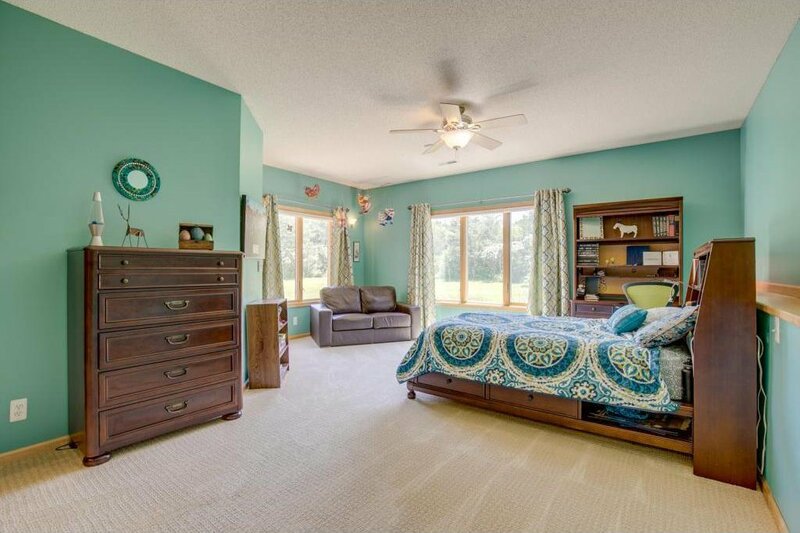 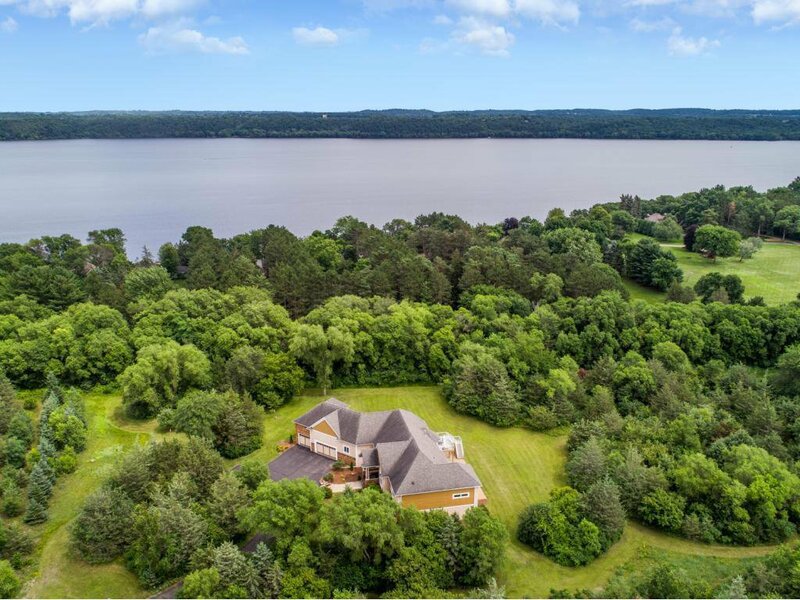 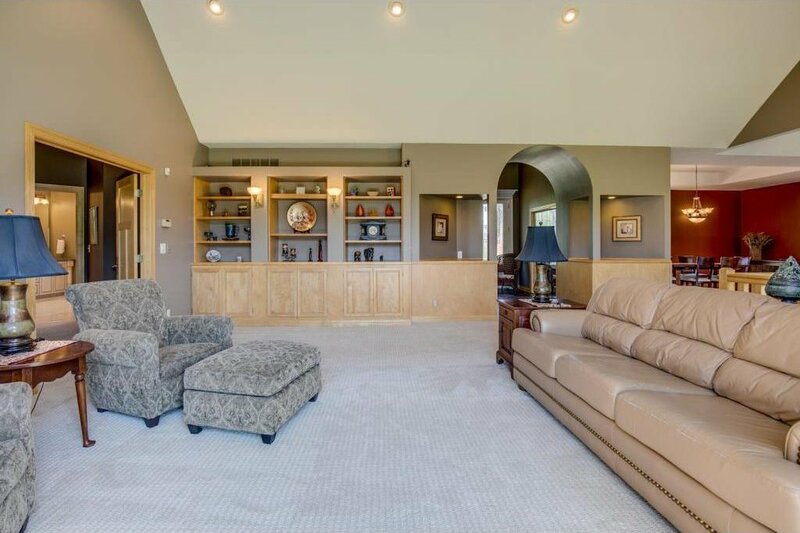 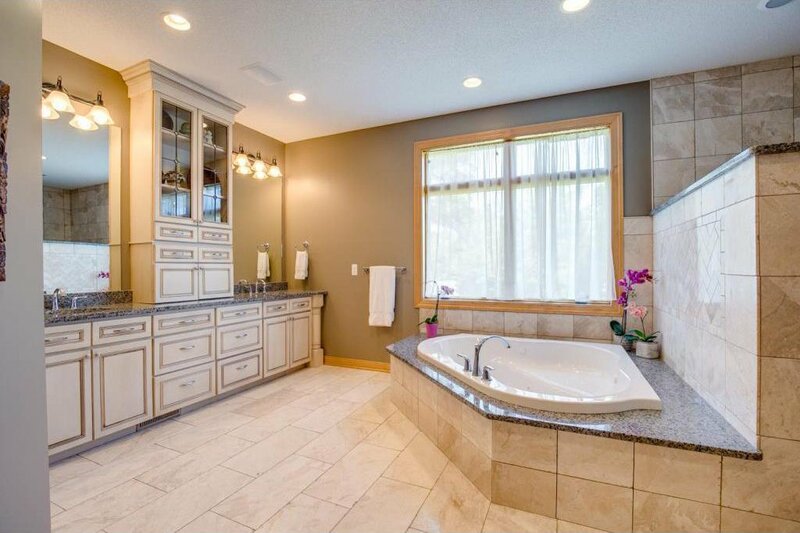 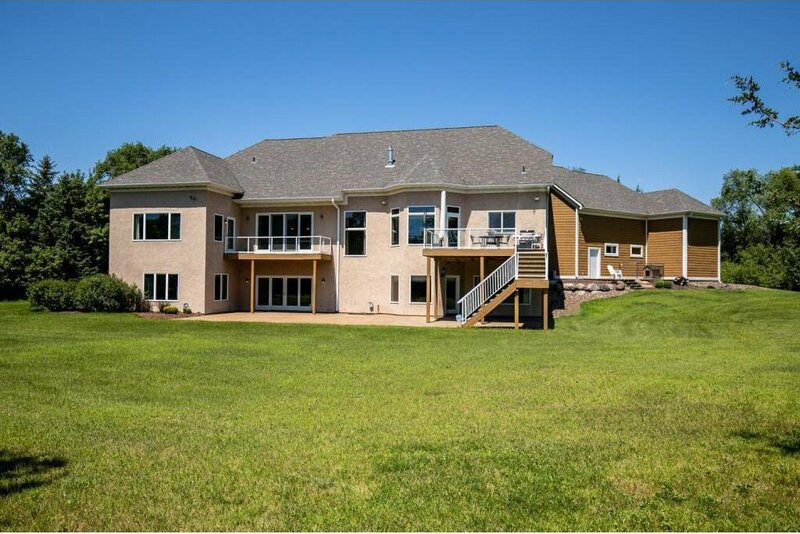 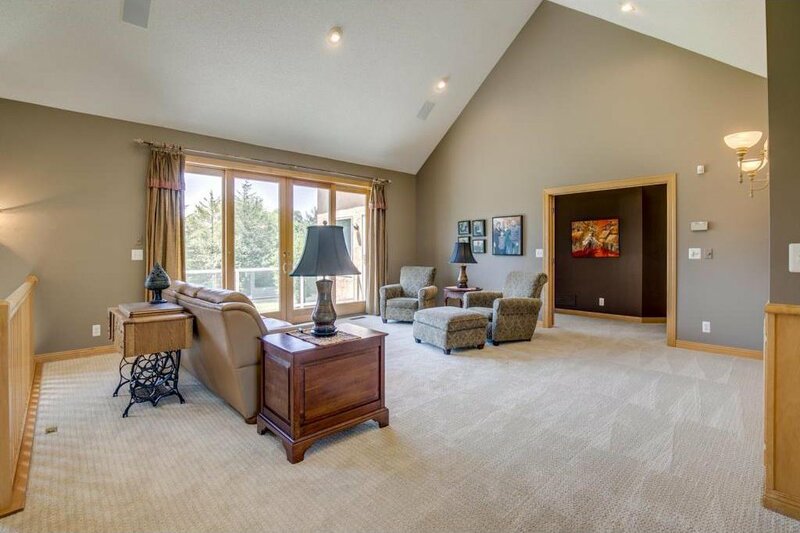 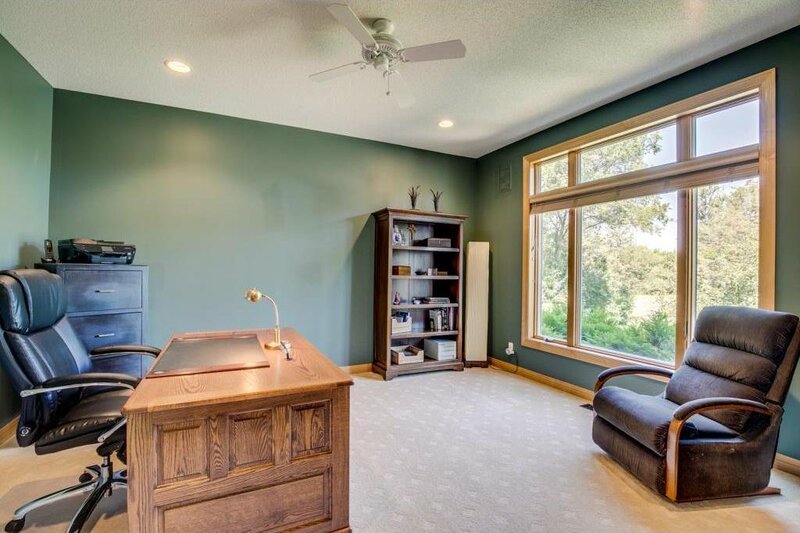 Serene setting nestled on 2.5 acres just a block off of the St. Croix River at the end of a small cul de sac. 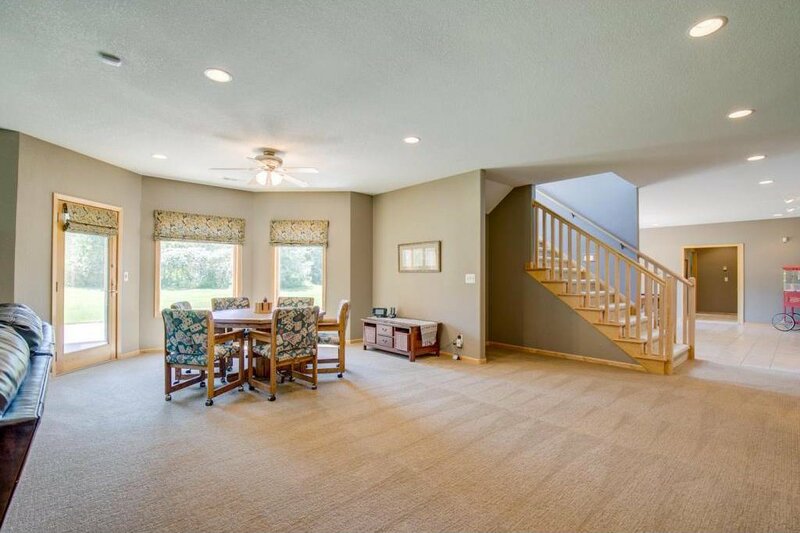 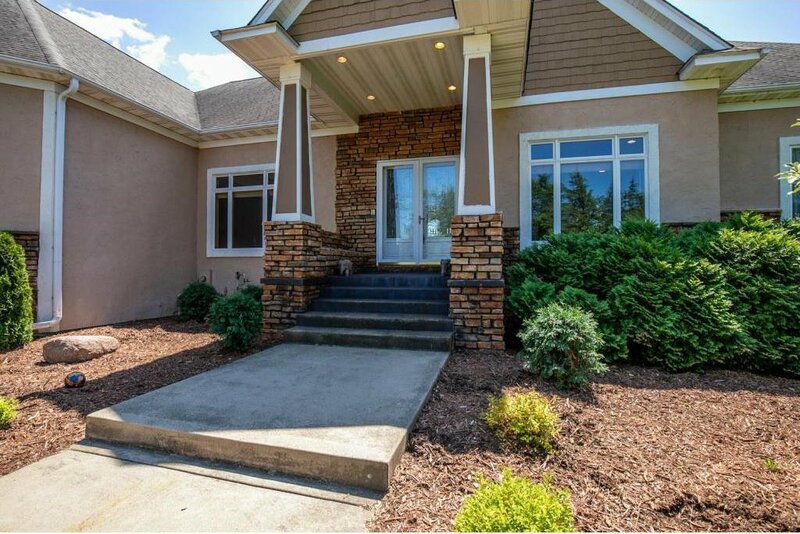 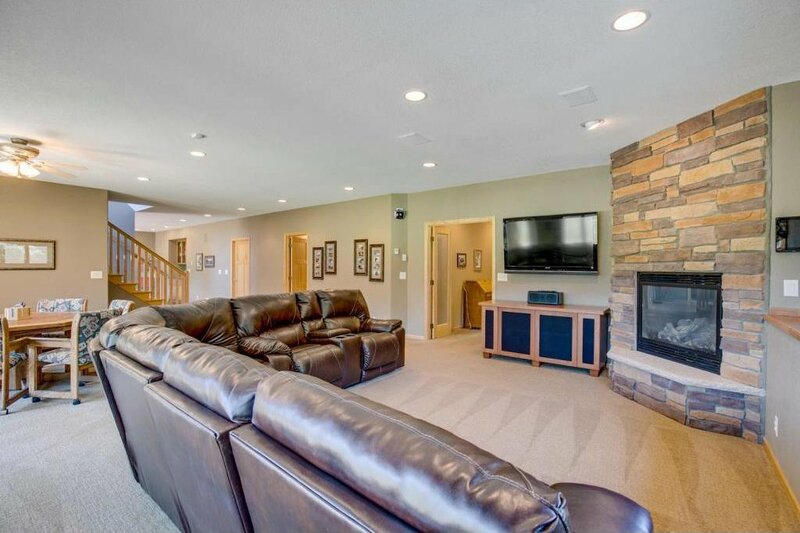 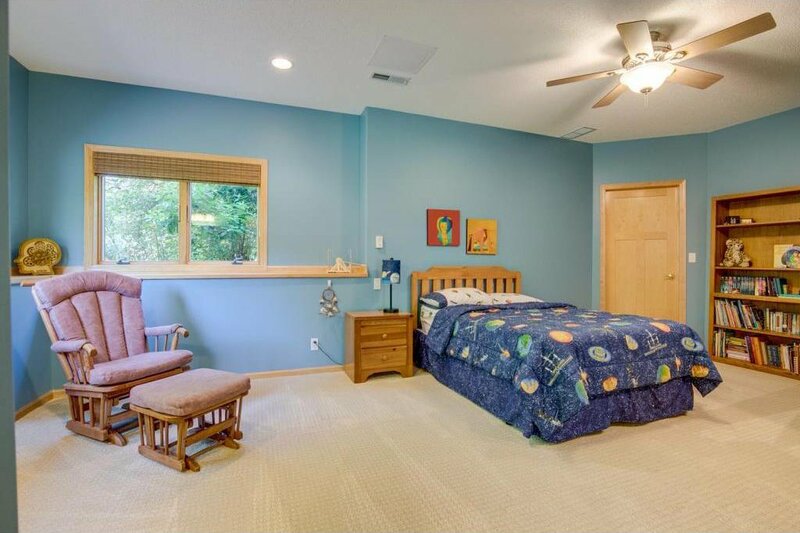 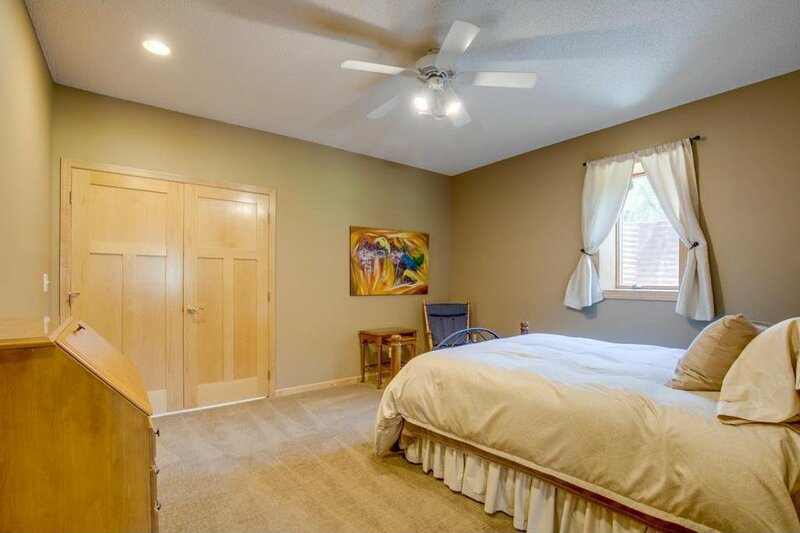 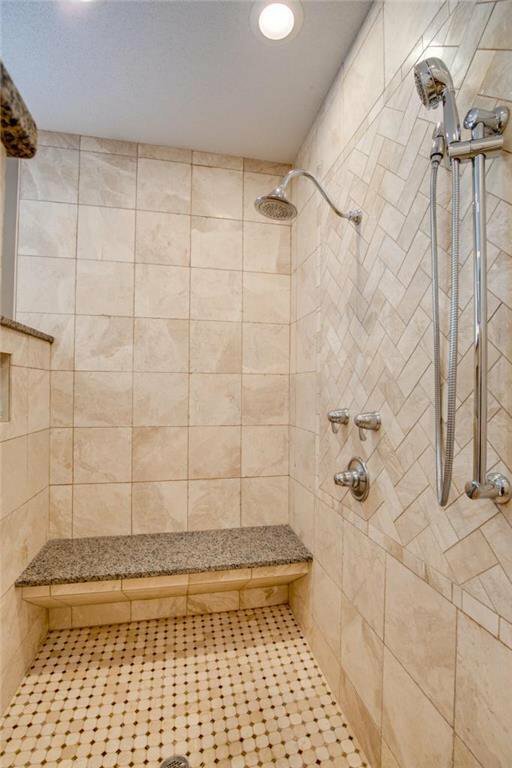 Enjoy this thoughtfully designed walkout rambler w/spacious main level owner's suite complete w/ tray vault, renovated bathroom including walk in shower, jetted tub, + access to deck overlooking yard. 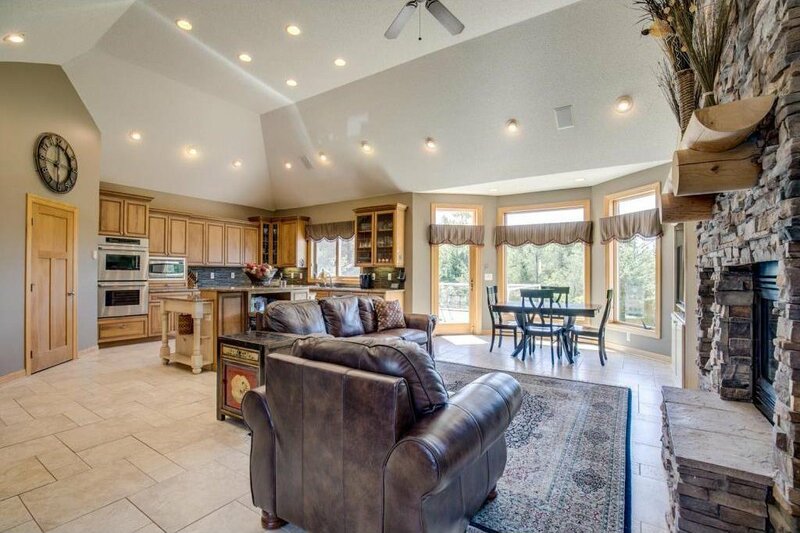 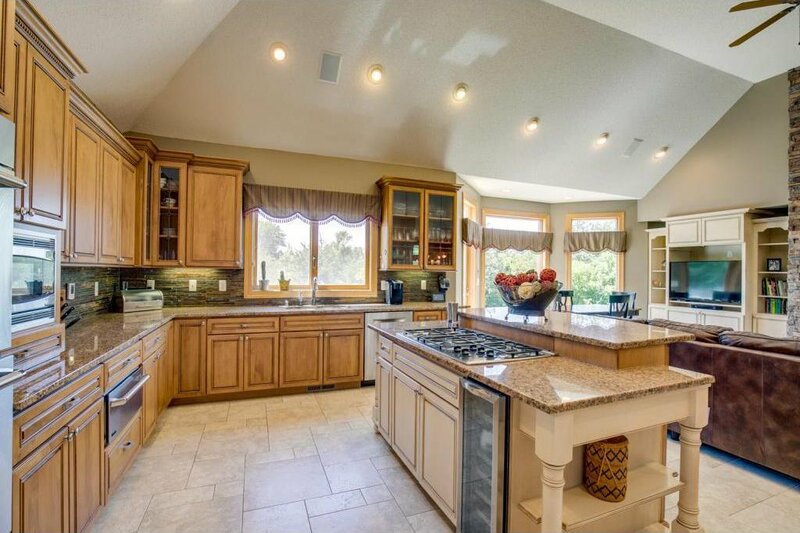 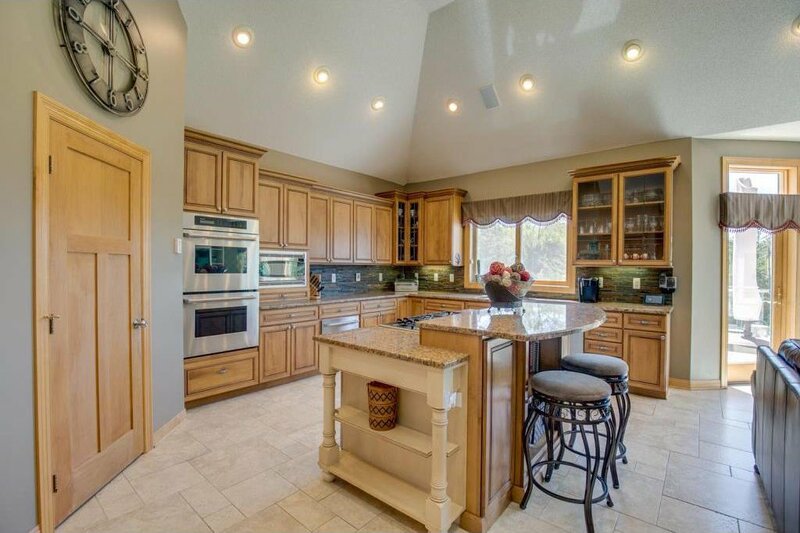 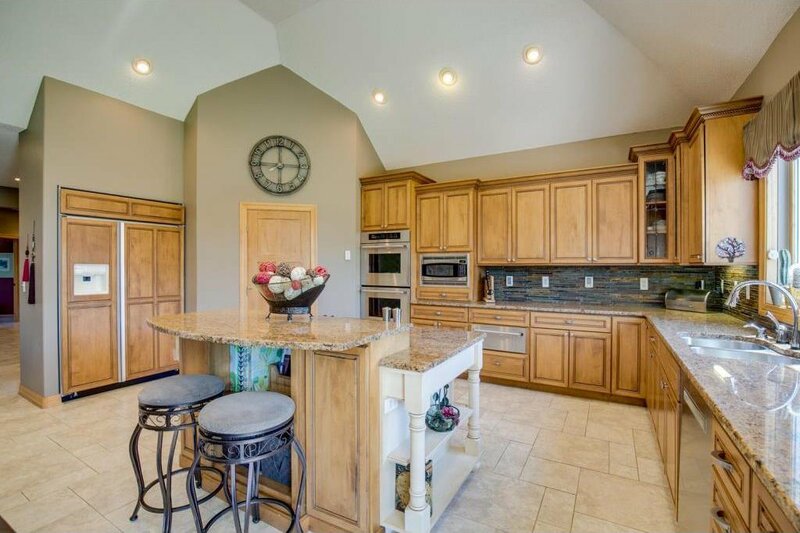 The kitchen boasts a soaring vault open to hearth room w/fireplace and deck. 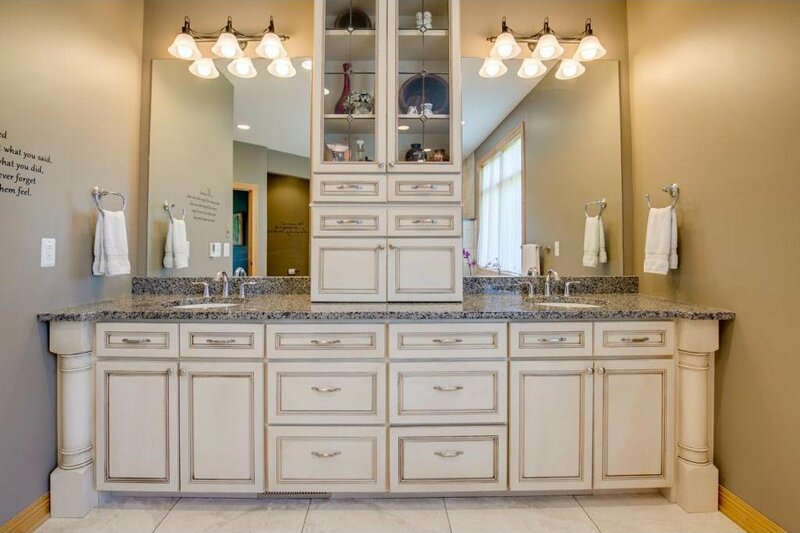 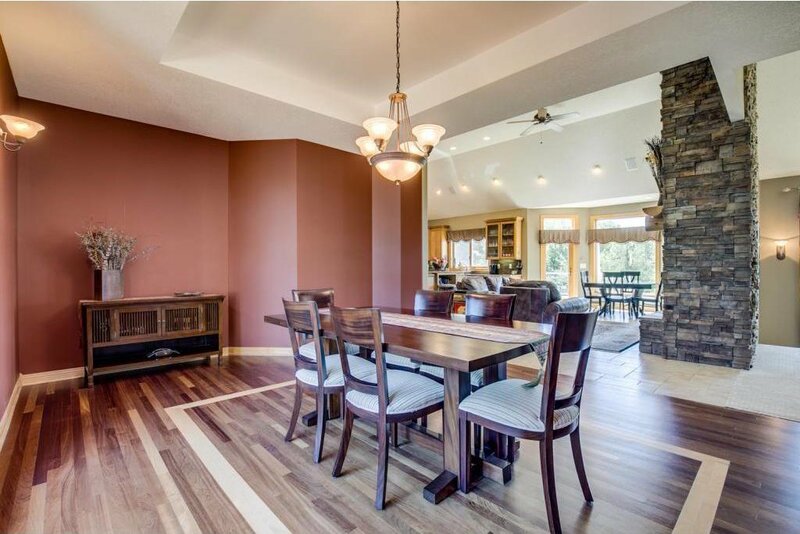 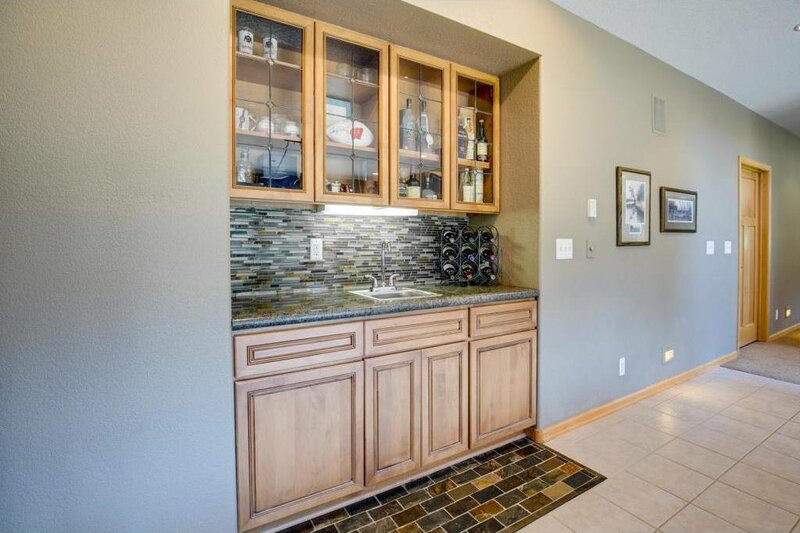 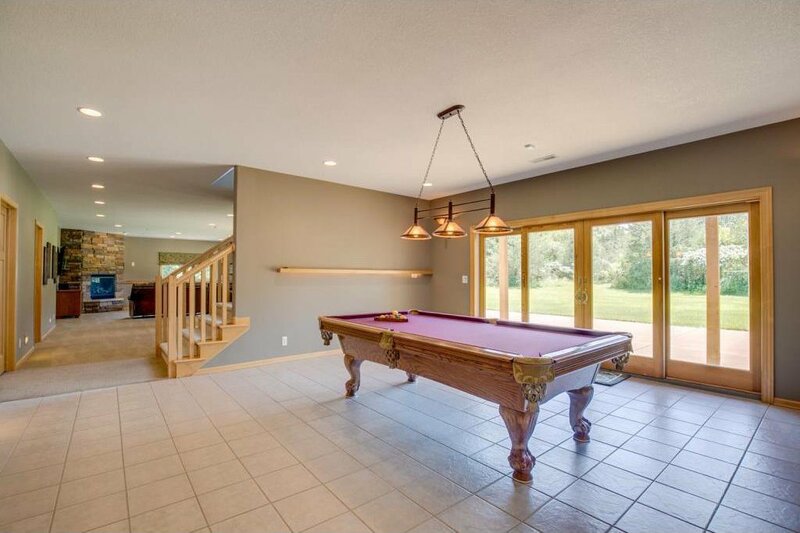 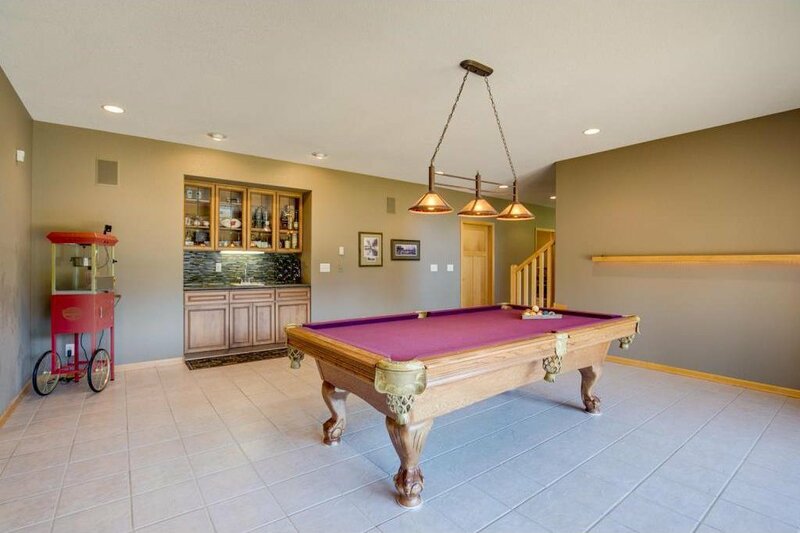 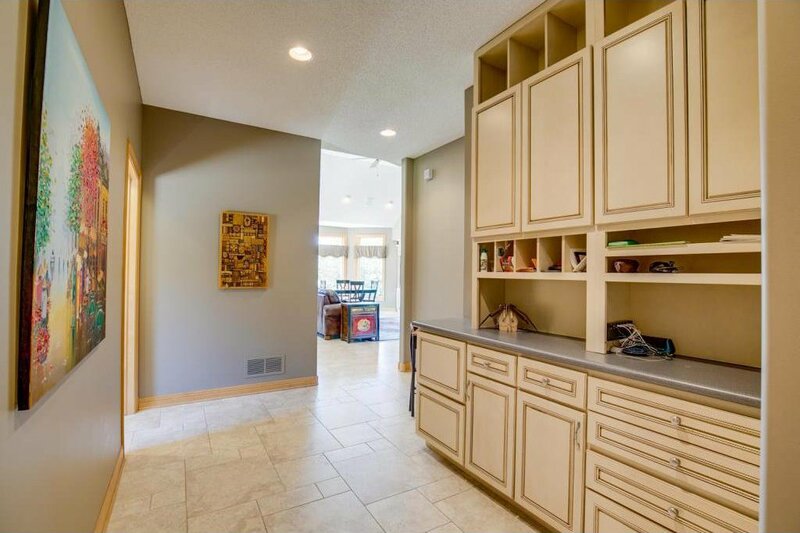 walkout level is perfect for entertaining w/walk up wet bar. 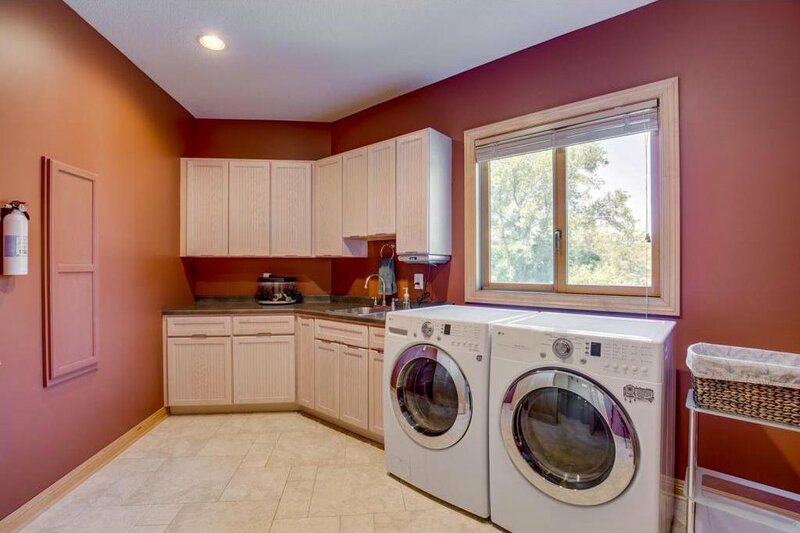 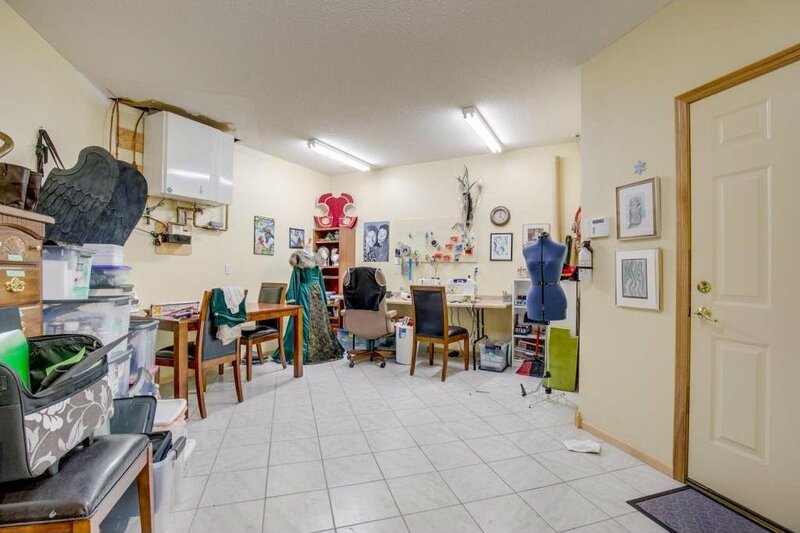 Don't miss the heated garage w/shop + mud room!